Wimbledon champion Garbine Muguruza fell in the second round of the Birmingham grasscourt tournament on Thursday to Barbora Strycova, the 24th ranked Czech. Garbine Muguruza and Petra Kvitova kicked off their grass court seasons on Tuesday with comfortable victories in the first round of the Nature Valley Classic in Birmingham. 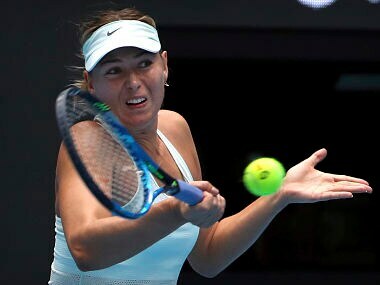 Sharapova was granted a wildcard at the event last year before a thigh injury forced her to skip the grasscourt season. 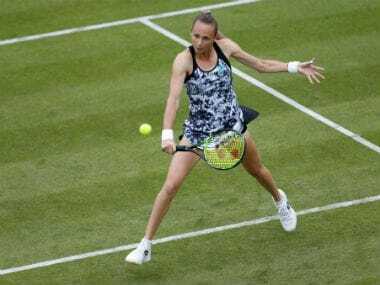 Kvitova showed she will be a serious contender for a third Wimbledon title after beating Australian Ashleigh Barty 4-6 6-3 6-2 to win the Aegon Classic in Birmingham on Sunday. 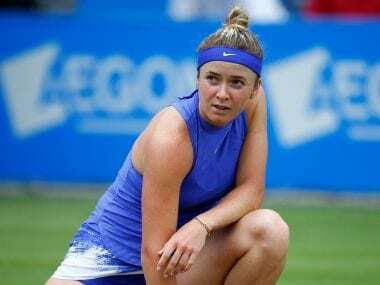 Elina Svitolina was clearly struggling as she slid to a 6-4, 4-6, 6-2 loss to a player ranked outside the top 100 at the Wimbledon warm-up event.